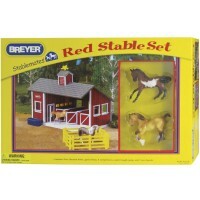 Learn more about horses and horse races with this new Race Horse & Jockey toy set by Breyer. 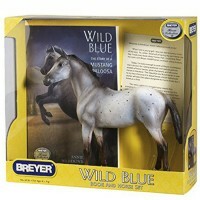 Learn more about horses and horse races with this new Breyer Race Horse Model & Jockey Doll Playset. 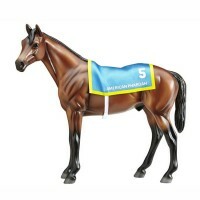 Horse racing is one of the most ancient of all sports that is still very popular around the world. 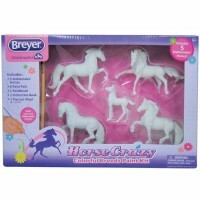 There are a few horse breeds used for racing including Thoroughbreds, Arabian, Quarter Horses, and Appaloosas. 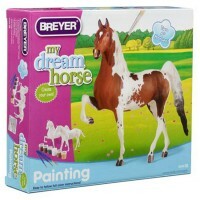 Race horse riders, jockeys, can be either men or women. 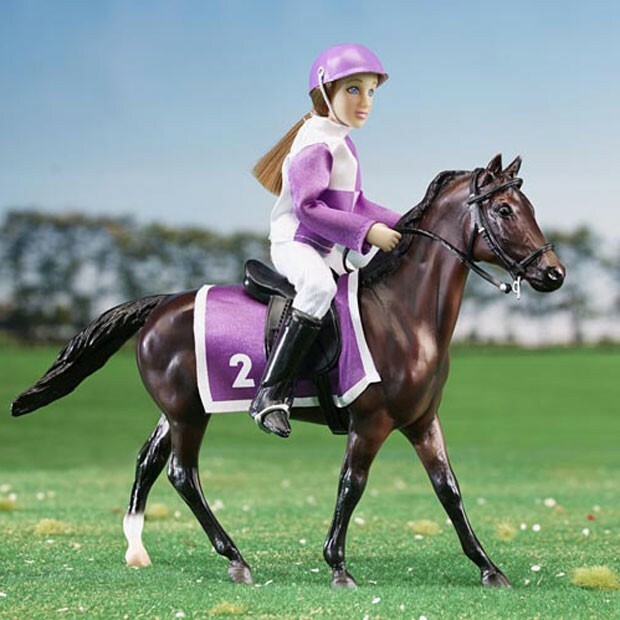 Jockeys wear colorful shirts and helmet covers, called 'silks' that represent the horses' owners and make it easier for the audience to tell horses apart during race. 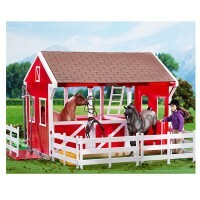 This play set features a 1:12 scale race horse model with numbered raspberry & white saddle blanket, and like-real saddle. The toy horse rider is a 6-inches articulated doll, fully dressed in color matching jockey outfit, riding boots, and jockey helmet. 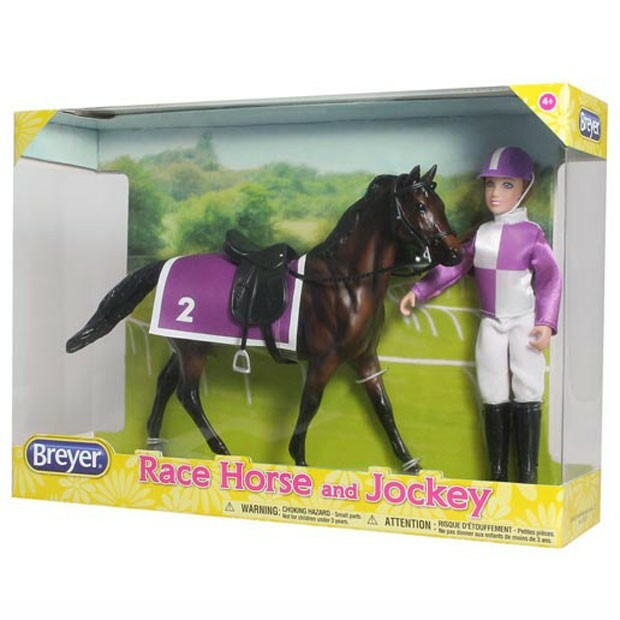 Play your own horse race with this beautifully detailed Breyer Race Horse Model & Jockey Doll Playset from Educational Toys Planet. 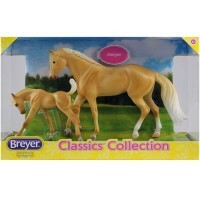 Terrific gift for girls, who love horses, this horse playset can be added to Breyer Horse Cruiser or stable play set for even more pretend play fun. 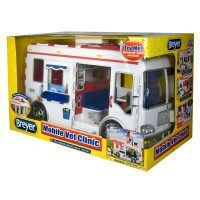 The toy figurine is measures about 9 x 6 inches. 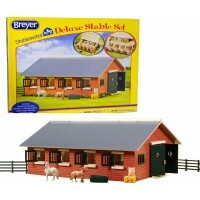 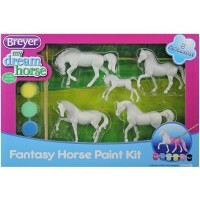 Dimensions of package 3" x 12" x 8.25"
Write your own review of Breyer Race Horse Model & Jockey Doll Playset.